Color image of CDC Band Printer. 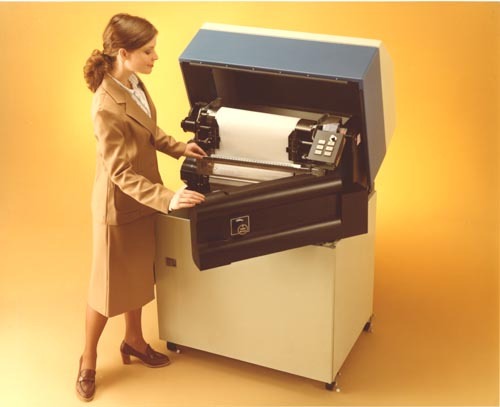 A woman is opening the access door to paper path. Note: Part of verso is illegible.